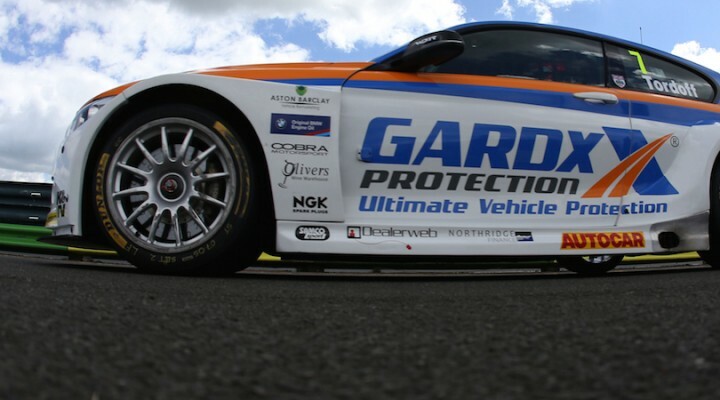 Team JCT600 with GardX driver Sam Tordoff held off another late charge from Tom Ingram to top the times in Free Practice Two at Croft. The two talented young racers have been the stars of the show so far in North Yorkshire with Bradford man Tordoff delighting his home crowd with 1:24.534s lap time, eclipsing Ingram’s effort from the opening session. A trio of West Surrey Racing BMWs held 1-2-3 in the timesheets for much of the running before Andy Priaulx and Rob Collard had to settle for third and seventh respectively. It’s undoubtedly encouraging signs for the champion squad, however, although Priaulx had to bounce back after hitting the tyre stack that lines the ultra quick chicane. A number of cars made contact with the tyres while trying to gain an all-important tenth of a second, which eventually led to Martin Depper’s downfall. The Eurotech driver arrived at the chicane with the tyre stack having been dislodged into the middle of the track by another car. The Honda Civic had nowhere to go and inevitable contact followed. While the damage seemed relatively cosmetic it put paid to the impressive pace shown by Depper earlier this morning. Gordon Shedden, Jack Goff and Adam Morgan made it five different marques in the top five with the MG of Goff sandwiched between two late lap times set by Shedden’s Honda and Morgan’s Mercedes. Jeff Smith underlined Eurotech’s pace with seventh with the team seemingly set to enjoy its most competitive qualifying session of the season, whilst Aron Smith’s VW and Rob Austin’s Audi rounded out the top ten. Team BMR is currently enduring its most challenging day of the 2015 season so far with both Jason Plato and Colin Turkington outside of the the first dozen. In fact it was a difficult session for four BTCC champions with Andrew Jordan, Plato, Turkington and Matt Neal ending up in 12th, 15th, 16th and 18th respectively. Nic Hamilton and Max Coates continued to gain important mileage ahead of their maiden BTCC qualifying session with the former getting the better of his fellow debutant by just 0.034s. Qualifying for round 13 of the Dunlop MSA British Touring Car Championship takes place at 15:45 later this afternoon with all the action being streamed live and exclusively at www.itv.com/btcc.